Eight hikers met for the Tony Grove to Franklin Basin hike: Dave W, Jane, Dave P, Nikolai, Stephanie, Jack, Ryan, and Dan the leader. 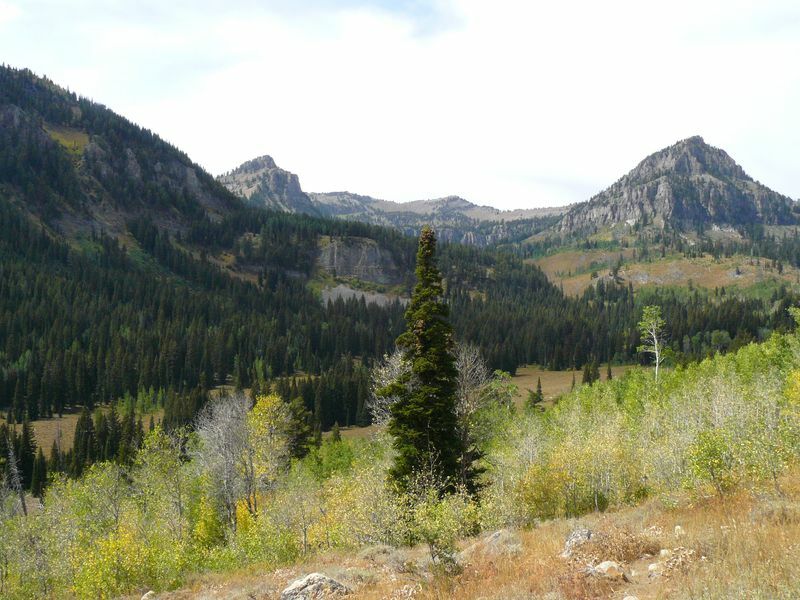 We dropped one car at Franklin Basin, drove to Tony Grove and started hiking up the trail at about 9:10 am. It was a cool, sunny morning. 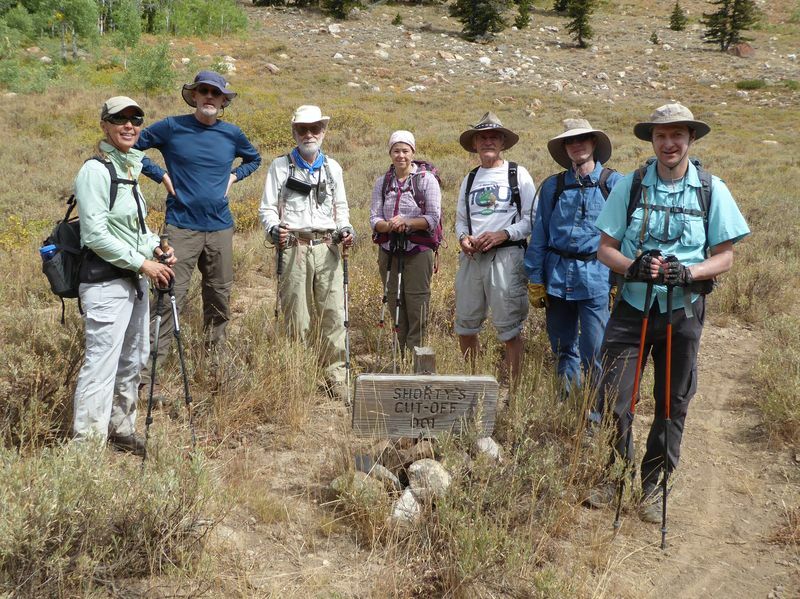 We stopped for a geology lesson from Jack and Dave P. and passed other groups along the trail. After climbing about 800 feet we dropped into White Pine drainage. The trail took us across the familiar bridge and then down alongside White Pine creek. It was here we saw a grouse which hesitated then flew off into the trees. 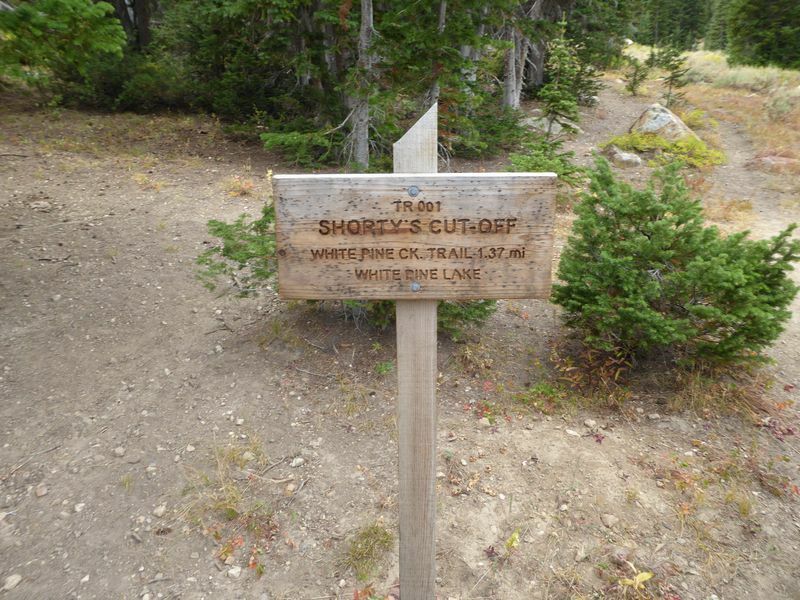 We managed to cross the stream and find a sign designating the Shorty's Cutoff trail. Three hikers crossed lower on the stream then hiked up to the rest of the group and trail sign. 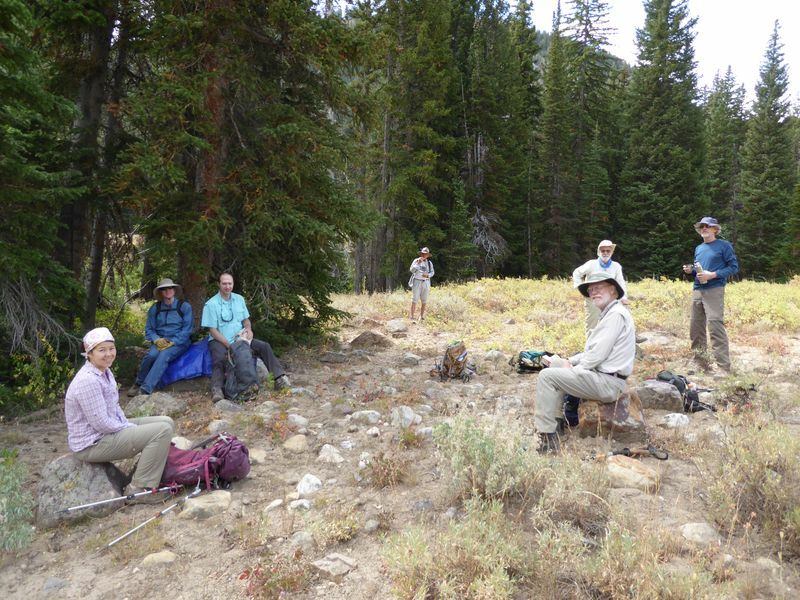 Before continuing up the trail we sat down for a well-deserved lunch. The time was 12:15 pm. We began the climb on a south-facing slope which offered great views to the west of Gog and Magog as well as the ridges all around. The trail led over the hill and into dense forest of aspen and conifer. We found the trail, which none of us had done previously, to be in very good condition. 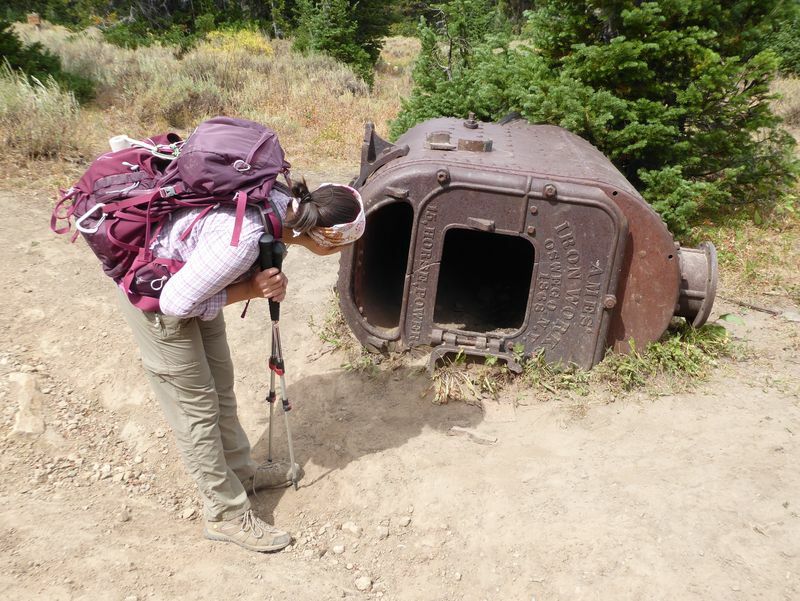 At the base of the hill the trail reached Steam Mill canyon trail and the iconic boiler. Jack decided to run up the trail to Steam Mill Lake and catch the rest of the group as we hiked down toward Franklin Basin. Eventually he did catch us a mile or so along and reported there were tiger salamanders in the lake. We descended over the ridge and down the slope where we had done a snowshoe trip last March. The trail was extremely dusty due to the hot dry weather in recent memory. We arrived at the car at about 3:30 pm. Some of us waited about 45 minutes for the car shuttle, cleaning up some carelessly discarded trash, eating crackers or reading a book. Four wheelers and dirt bikes kicked up the dust for entertainment. Two mountain bikers came by heading up the way we came down. After this pleasant hike we arrived back in Logan about 5:00 pm. Cloudy and breezy, comfortable temperatures. Thanks to Dan for the narrative and photos and Dave W. for photos and GPS work.